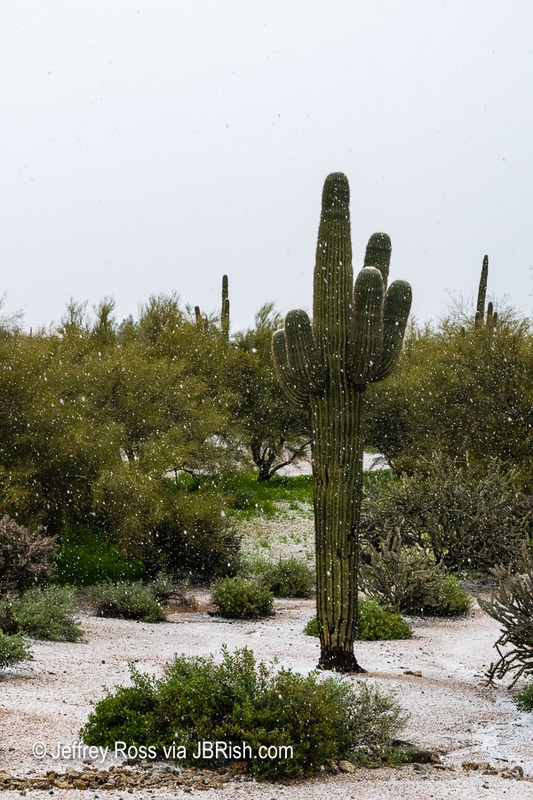 This has been a very cold and unusual February for our North Phoenix area. 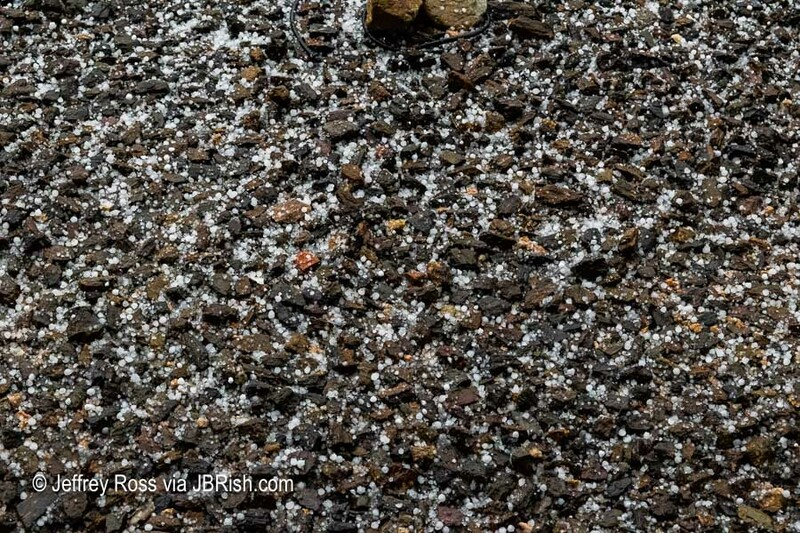 We have had many inches of rain and today, during a storm, hail and sleet covered the ground. 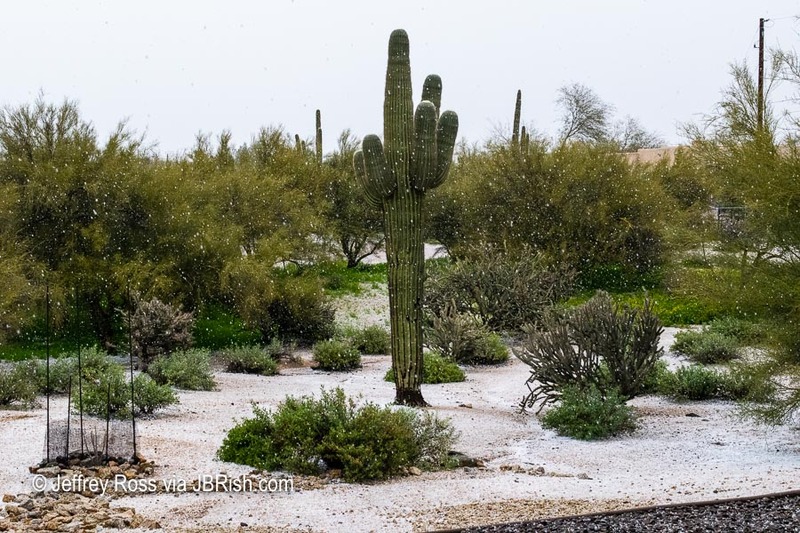 The saguaro cactus and desert plants did not “know what hit them.” In our nearly dozen years in this location this is only the second time we have had hail or snow on the ground. 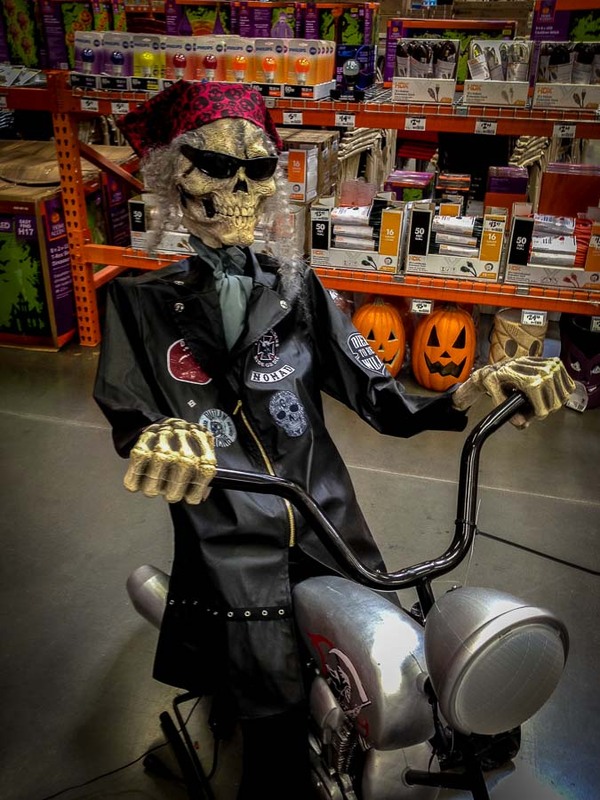 This time of the year fosters much fun and merriment related to Halloween and Dia de los Muertos (Day of the Dead). 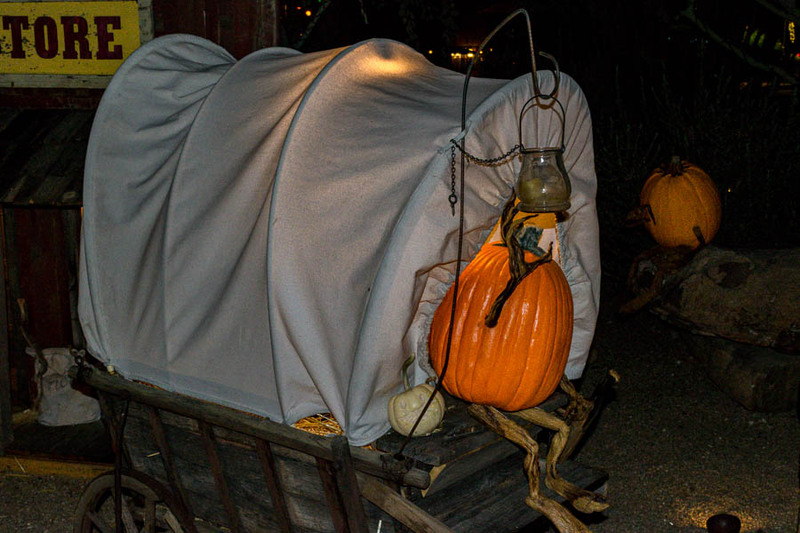 Carefree, AZ offers a display of pumpkin carvings and pumpkin-based dioramas. 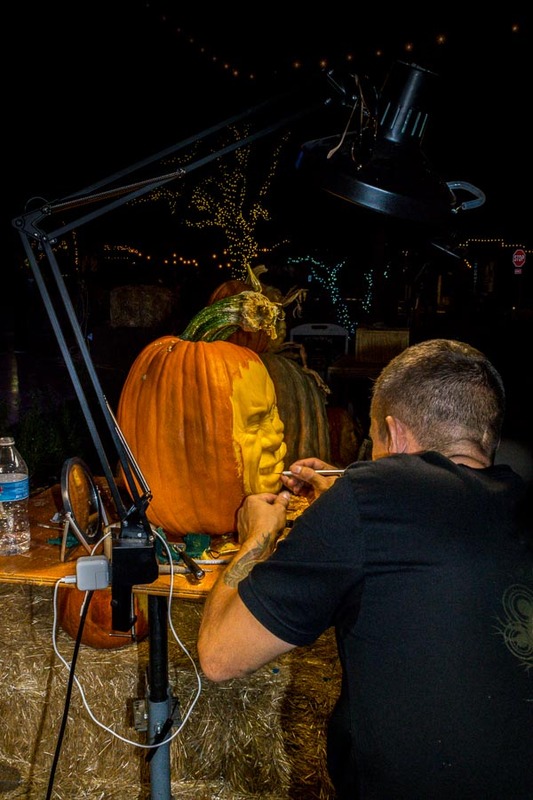 Ray Villafane and his crew are carving magicians and once again this year their skill is on display. 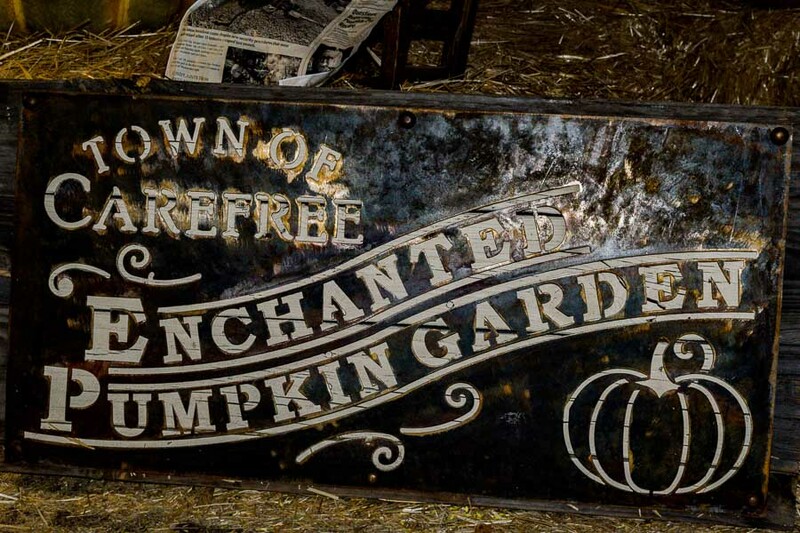 There is more background information in last year’s posts. You can find it HERE. 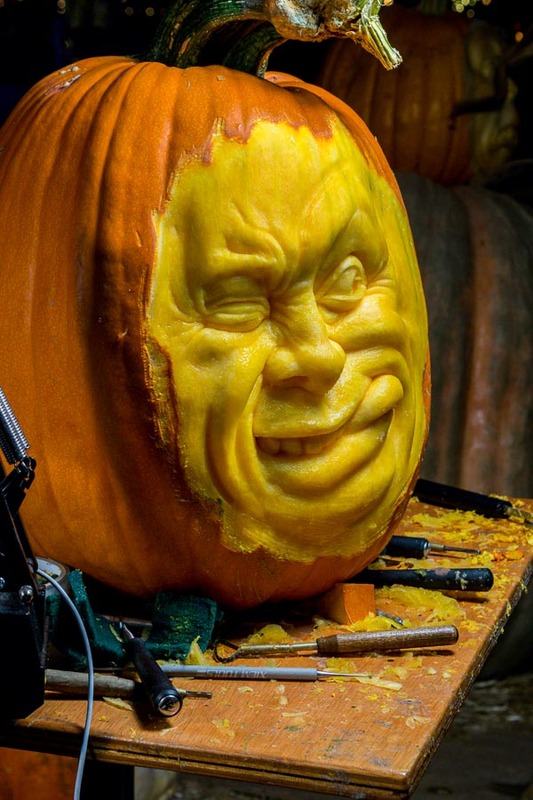 Ray wielding his pumpkin carving wizardry. 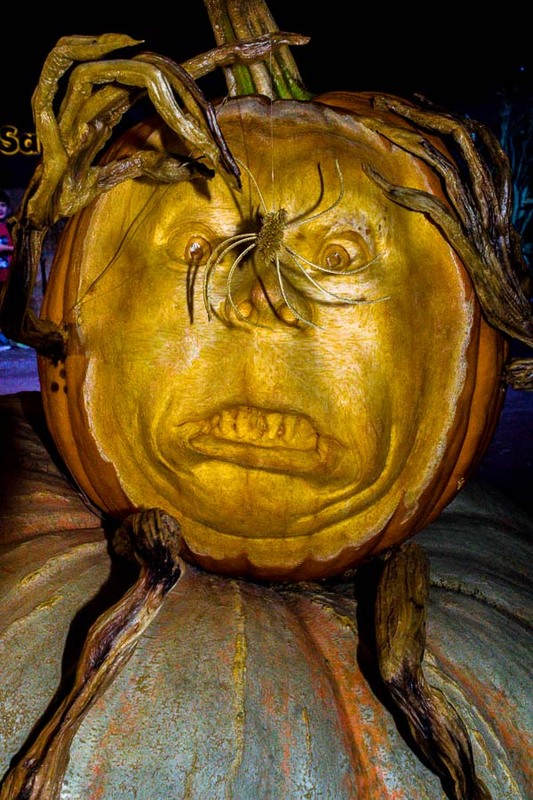 This pumpkin appears to be afraid of spiders (dangling in front). 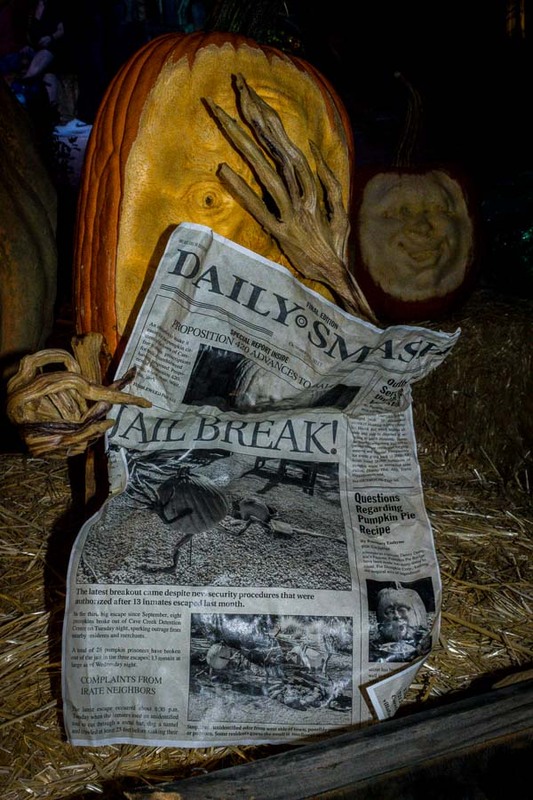 This fellow seems disturbed about the pumpkins making the newspaper headlines. 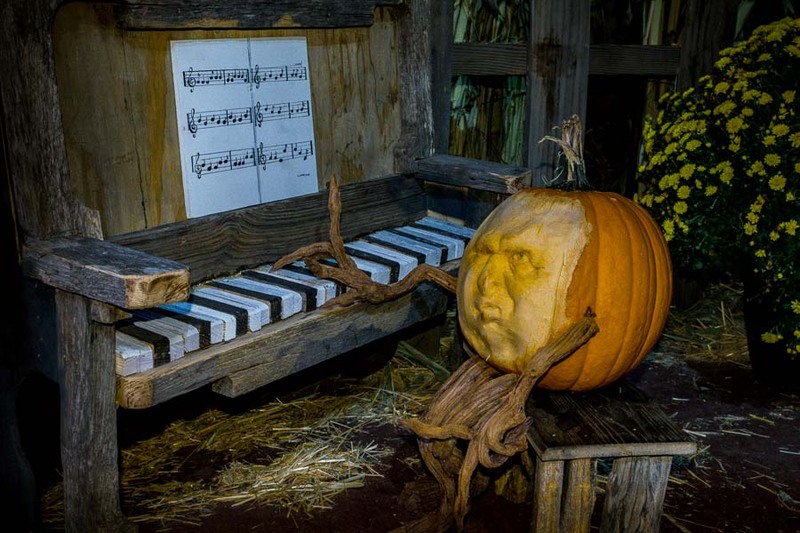 Piano man doesn’t seem to be having a good night! 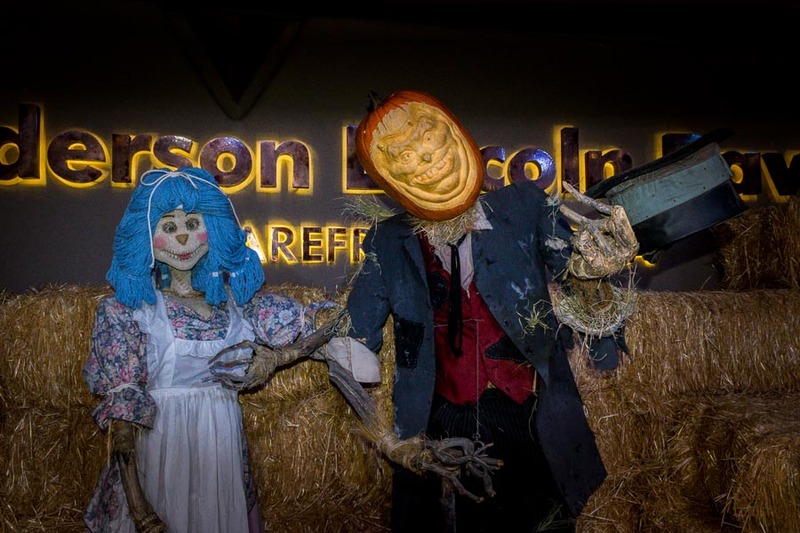 A Halloween couple greets visitors on stage and will eagerly pose for pictures. 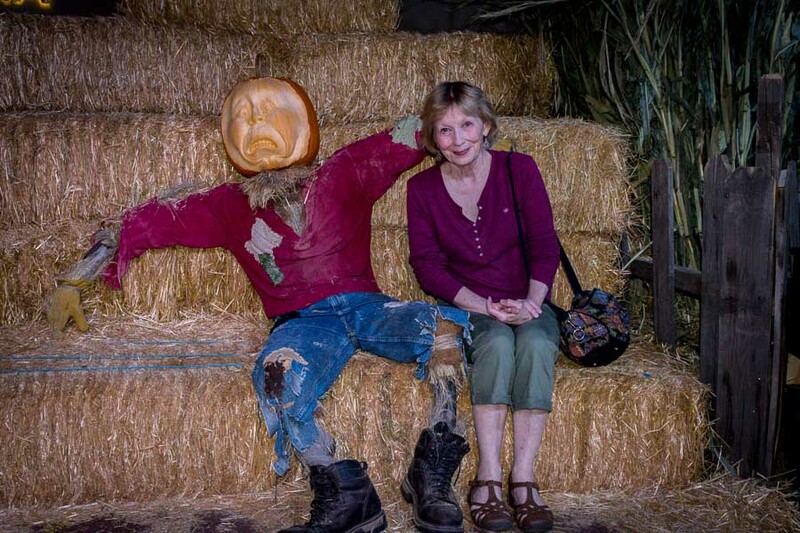 Visitors can have their picture taken atop hay bales with a pumpkin man. 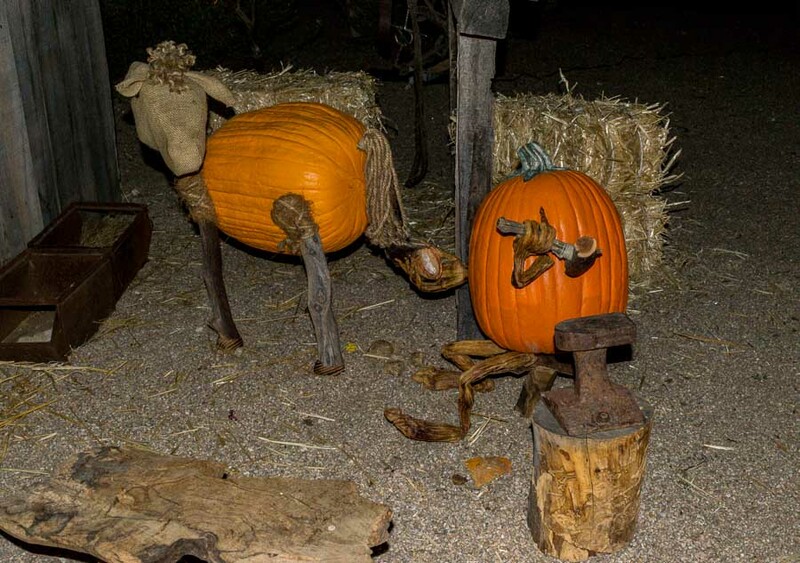 Western themed pumpkin farrier is shoeing a horse. 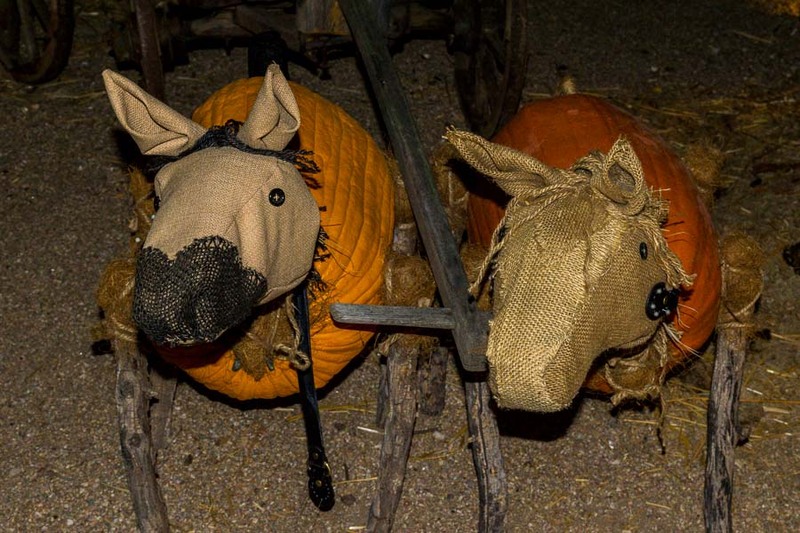 These pumpkin horses are ready to go. A stagecoach driver gets the team ready to move. Watch for Part 2 tomorrow! See previous posts about life in the desert HERE. 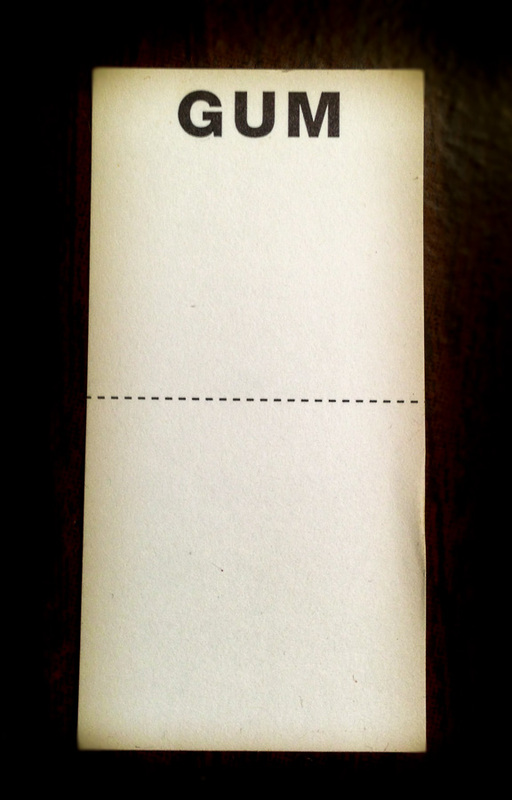 Here’s a puzzle (of sorts) for JBRish readers. NOTE – I have removed some of the markings to make this a bit of a challenge. 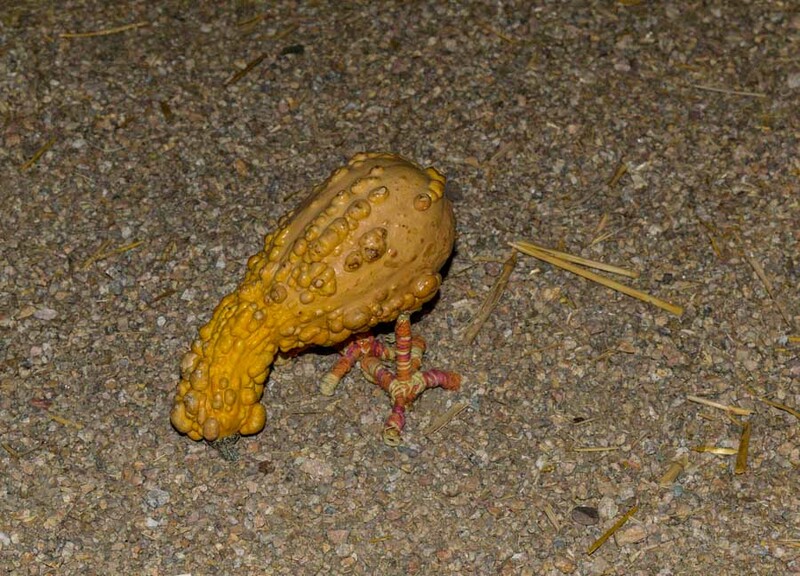 Have you ever seen one of these? Do you know what it is? By now you have probably guessed, so here is the rest of the item as I saw it when I took it from the container. If you haven’t guessed by now, it is for diners to place their gum on this cardboard to be folded and discarded. Apparently, as confirmed by our waitress, so many people stick their gum under the table that it has created a big problem for staff who have to scrape and clean the bottom of the tables. Who would have thought?! 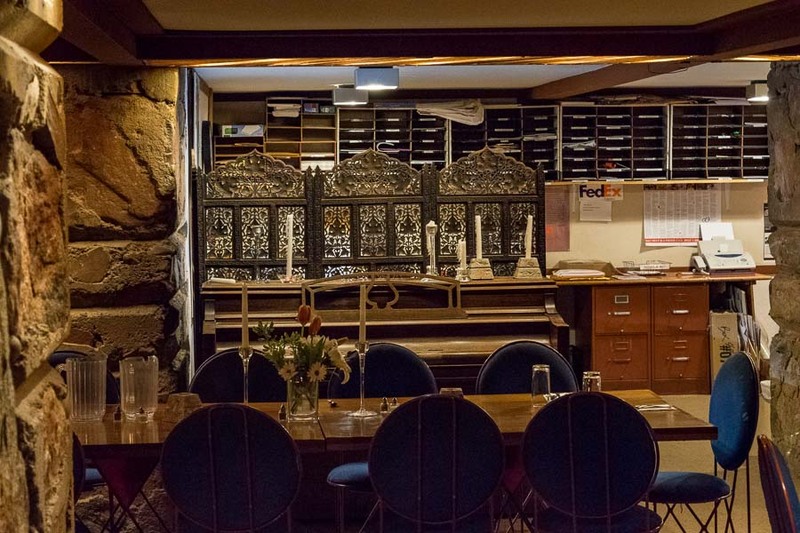 On the way to the Cabaret Theater, we walked past the room pictured in the two photos below. 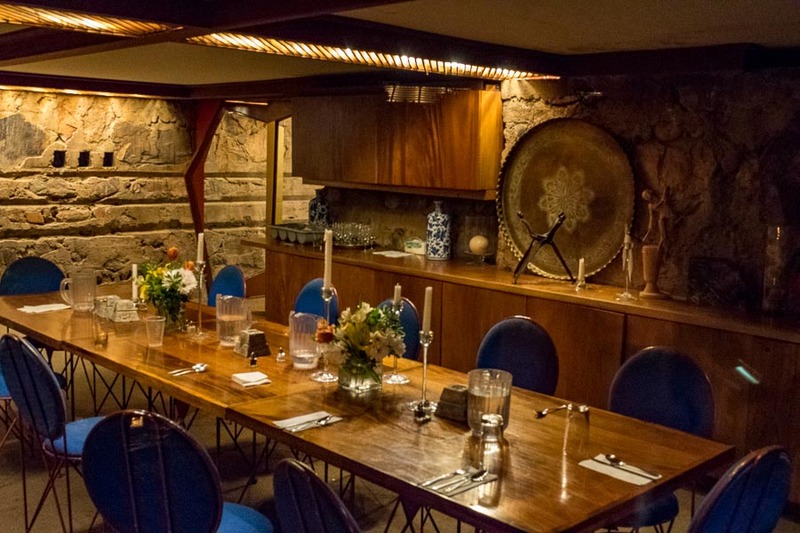 It appears to be a mixture of formal and informal touches designed for meeting and/or eating. The evening tour ended with a final visit to the Cabaret Theater. 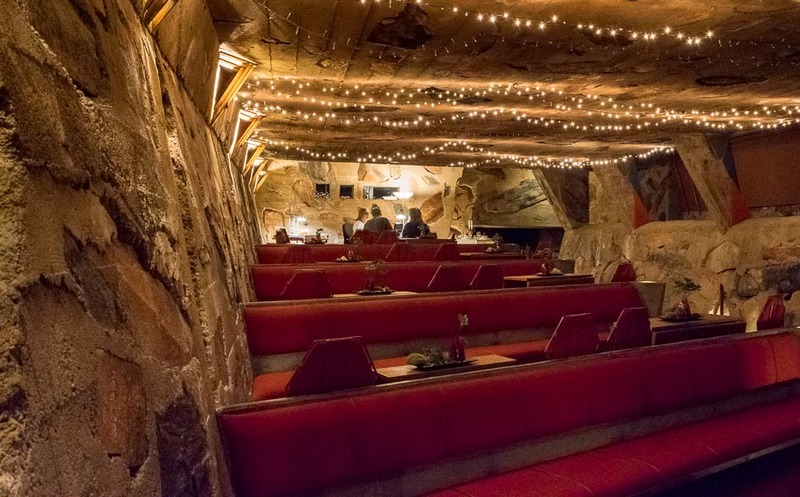 This is an area (below) where movies were shown or smaller concerts held. 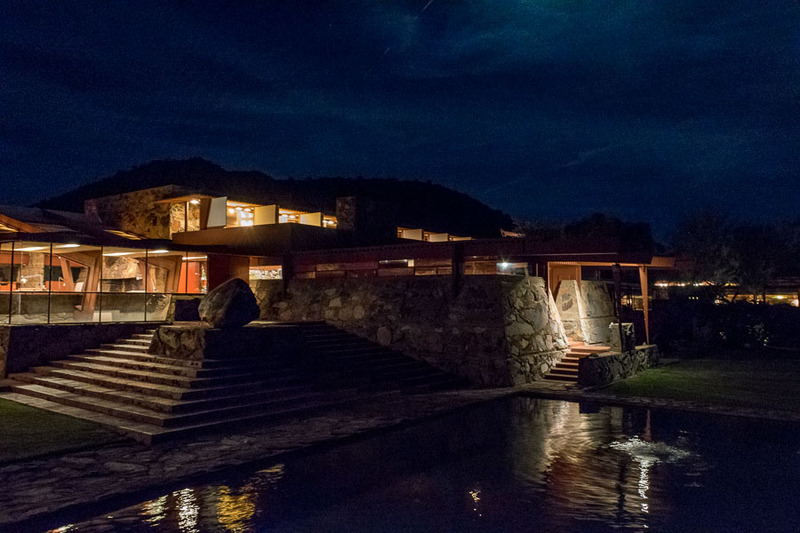 NOTE – Keep in mind that this series represents only a partial exploration of the evening tour at Taliesin West. 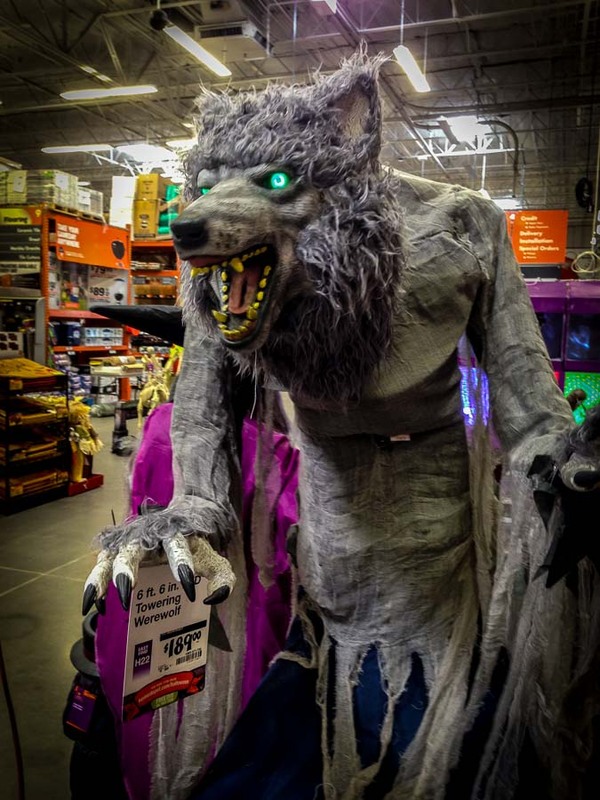 There was much more included with many stories and insights offered. The docent was very experienced and knowledgeable. Read more about Taiesin West HERE. All content on this blog is copyrighted by Jeffrey B. Ross with ALL Rights Reserved. While reference links back to JBRish.com are appreciated and encouraged, please acquire approval for any reproduction of original content from this website. 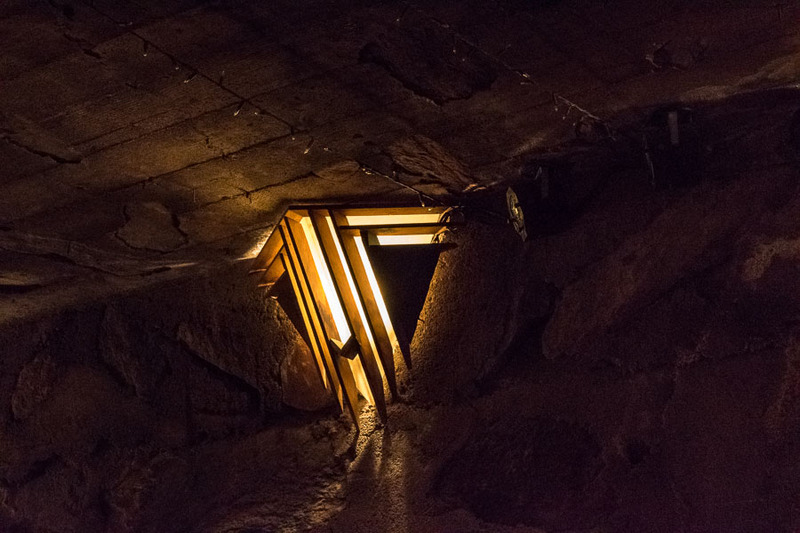 What motivates many people to take tours such as that offered at Taliesin West, is the interesting discoveries that await. 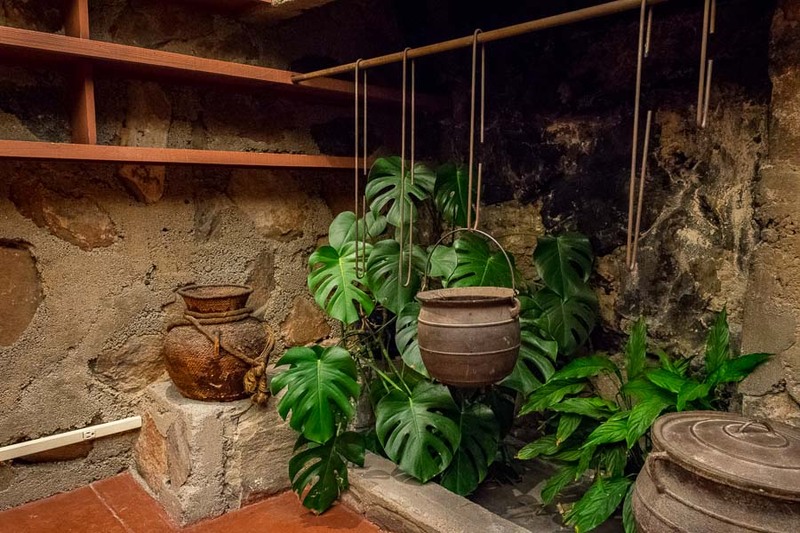 There are so many nooks and crannies at Wright’s Arizona estate, that one never knows what will be found in the next room or just around the corner. 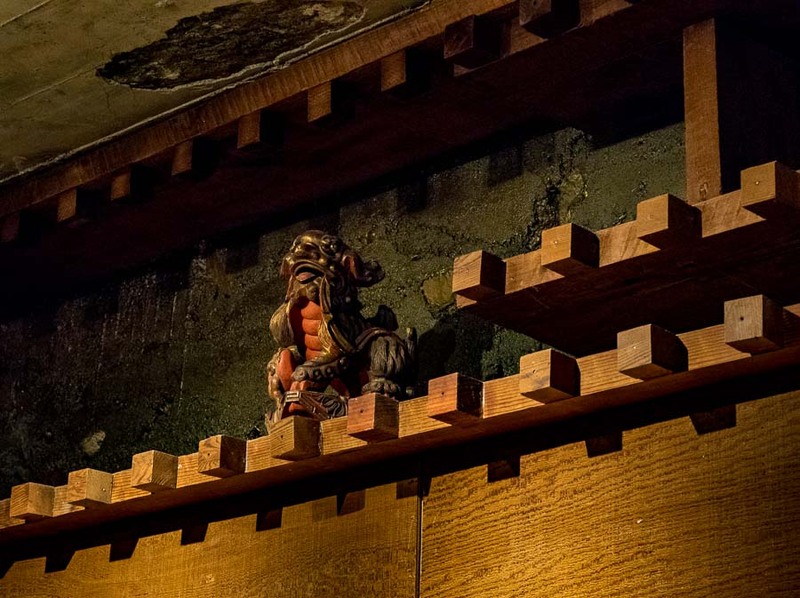 The picture below shows a detailed oriental sculpture that sat upon a dentil shelf in the Kiva Room that was used for conferences, etc. This evening they served cookies and juice. 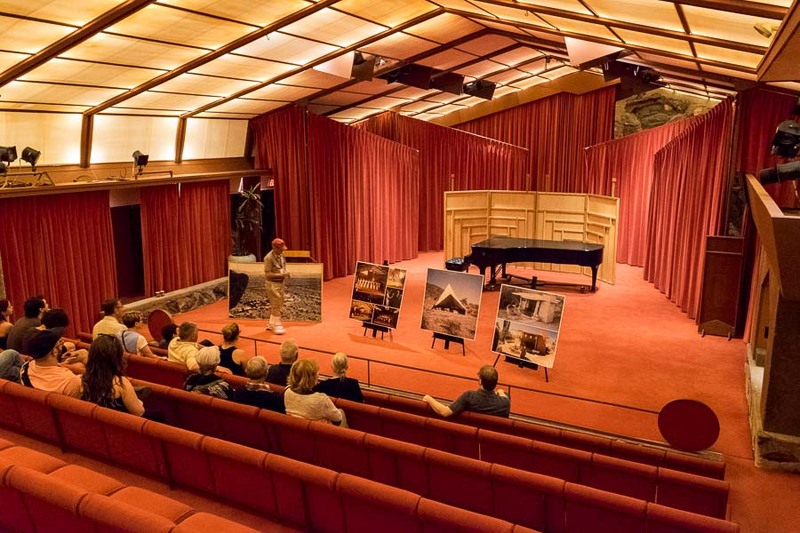 Taliesin has its own Music Pavilion. 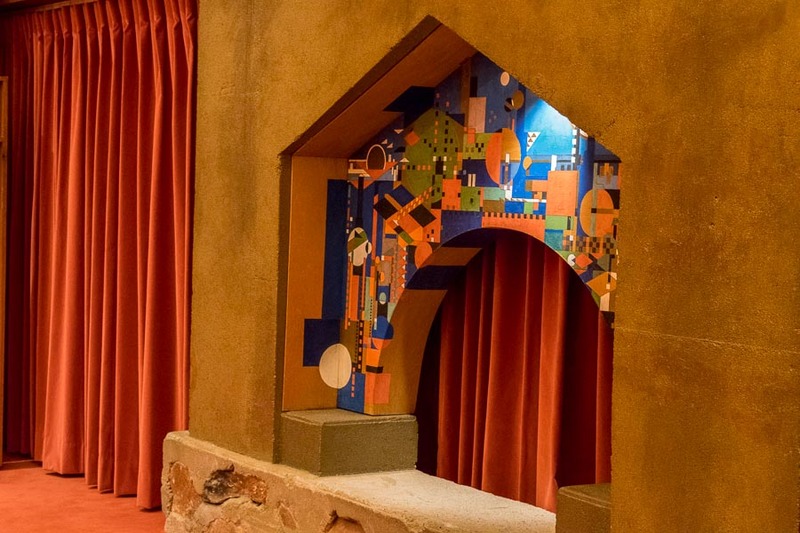 This mural (below) in the Music Pavilion is called “City by the Sea” which some explain was Frank Lloyd Wright’s interpretation of the Chicago skyline. 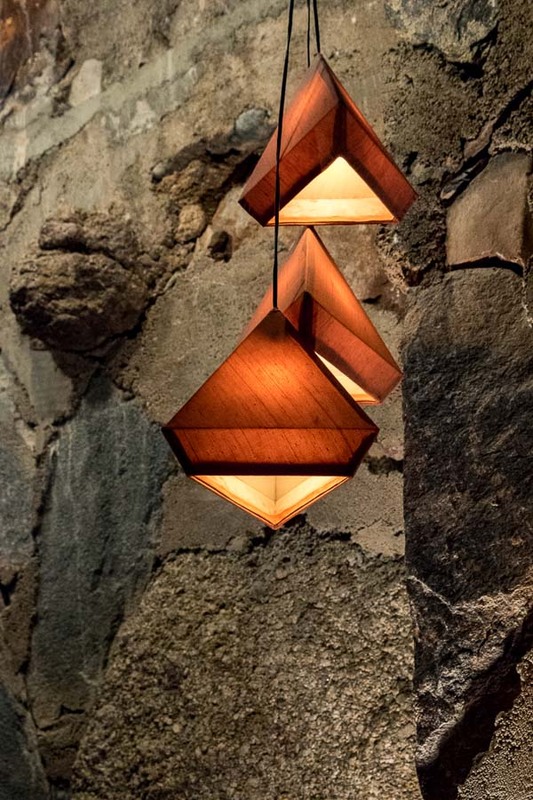 Taliesin West has a wide variety of plant material both inside and out. Below is a picture of one of the office fireplaces that now serves to display houseplants which fit in well with the ceramic and metal pots. 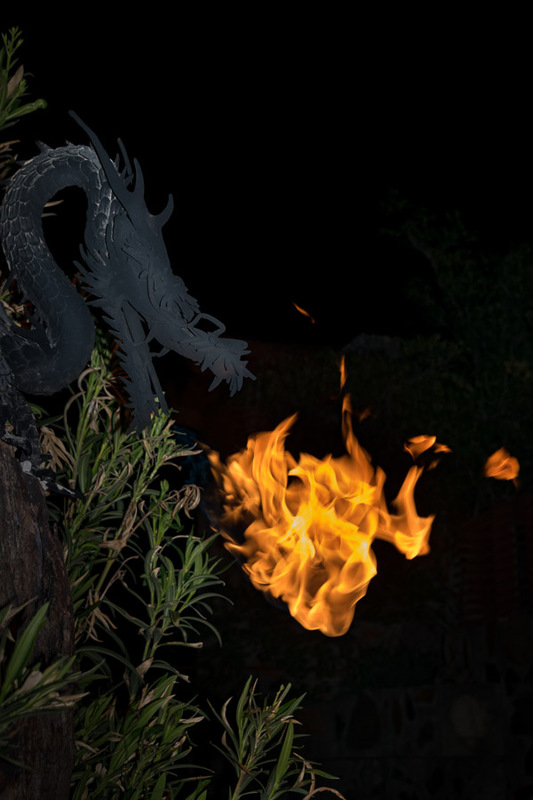 One of the “teasers” for the evening tour was this evening only event where the flame is lit to enable the sculpted dragon to “breathe fire.” You can find a daytime photograph with the details a bit more visible at this Deviant Art webpage – Click HERE. 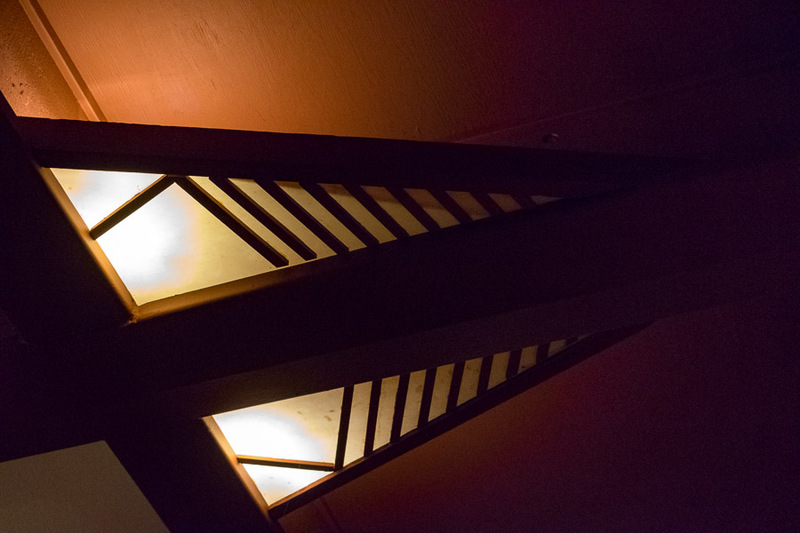 While sitting in the Living Room at Taliesin West and looking at a good number of lighting fixtures and other elements, it was obvious that Wright favored geometric shapes especially the triangle. 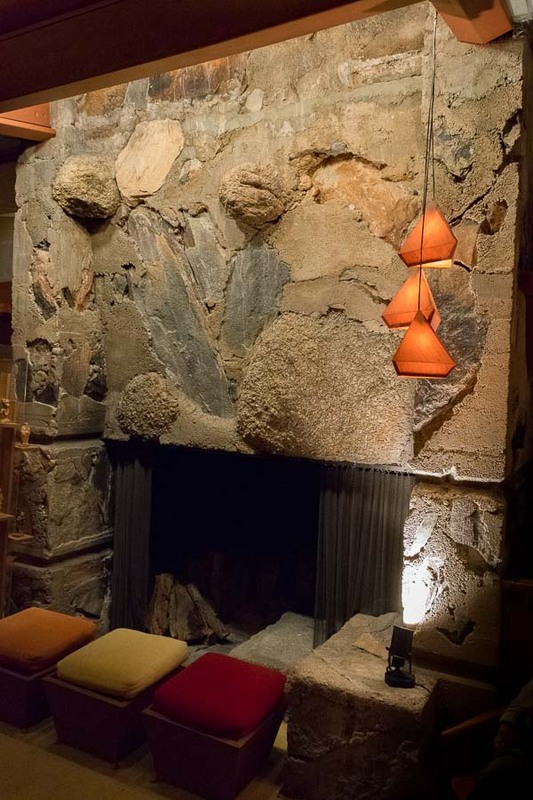 Frank Lloyd Wright understood that a building cannot be a home without appropriate furnishings. He was concerned about decorating the rooms in a style that would enhance the overall architecture and aesthetic of each area. 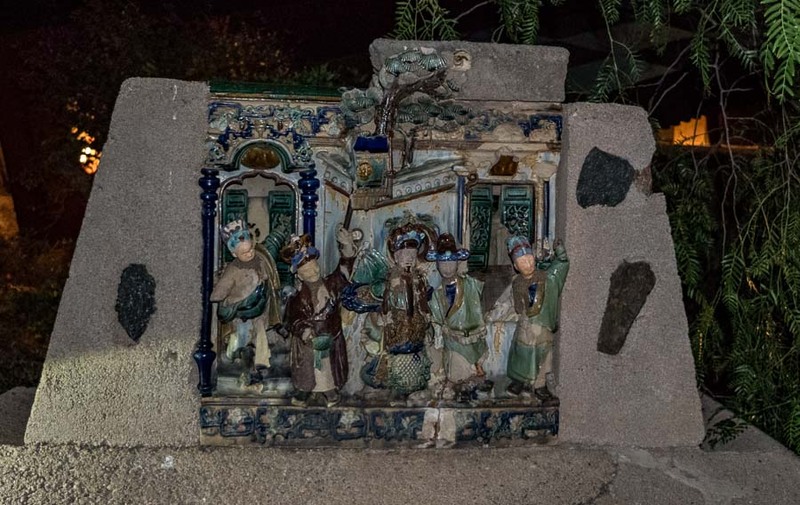 Chinese theater scenes are placed throughout the estate with some used to mark transitions from one area to another. 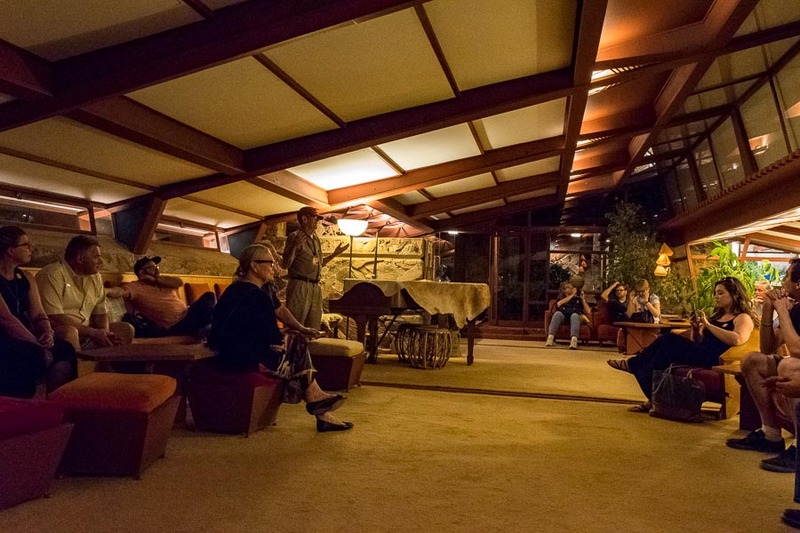 In yesterday’s post about our evening tour of Taliesin West, I showed photographs of the drafting studio where students do their work based on the design principals taught at the school. In those photographs, the reflecting pool was not visible. This water feature adds a very nice element to the landscaping that is both visually and auditorily pleasing. 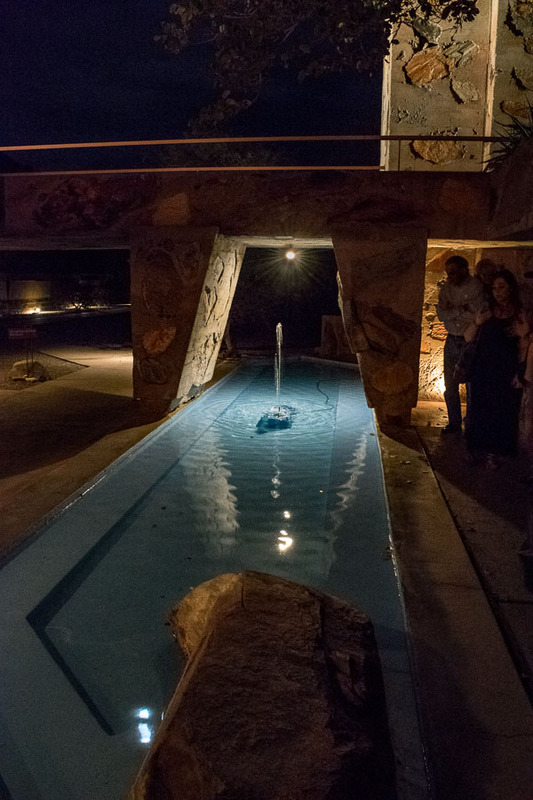 The pictures below show the pool located in front of the steps and lawn. NOTE – We were allowed to enter the drafting studio briefly, but we were not allowed to take any photographs or make any noise. Interacting with students was understandably not permitted. 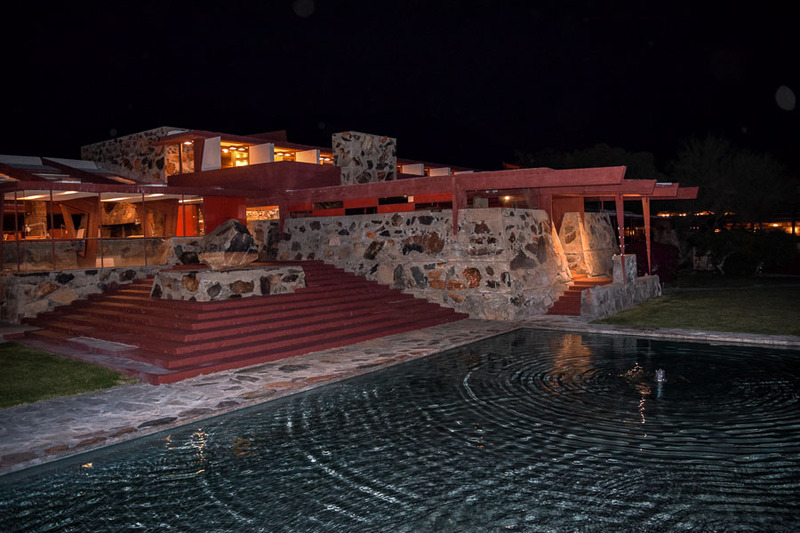 It will become obvious to the most casual observer that Frank Lloyd Wright was a collector. 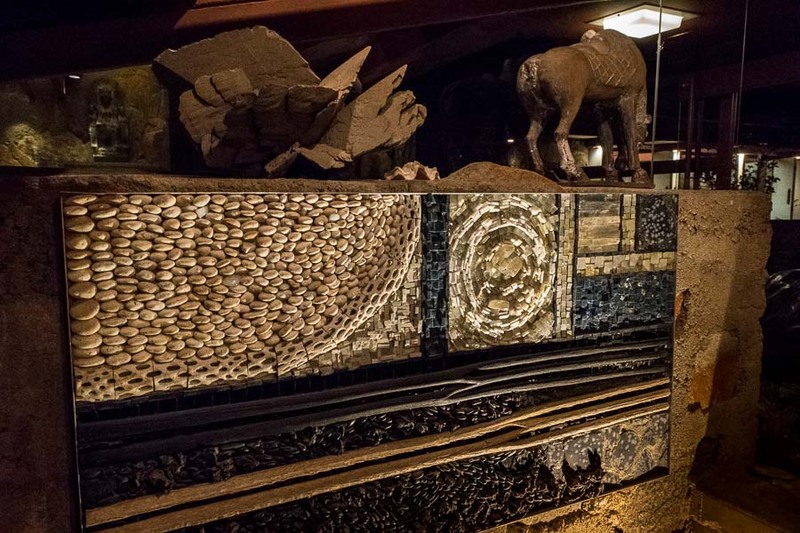 He had a variety of interests such as petroglyphs (see post #2) and other types of art. 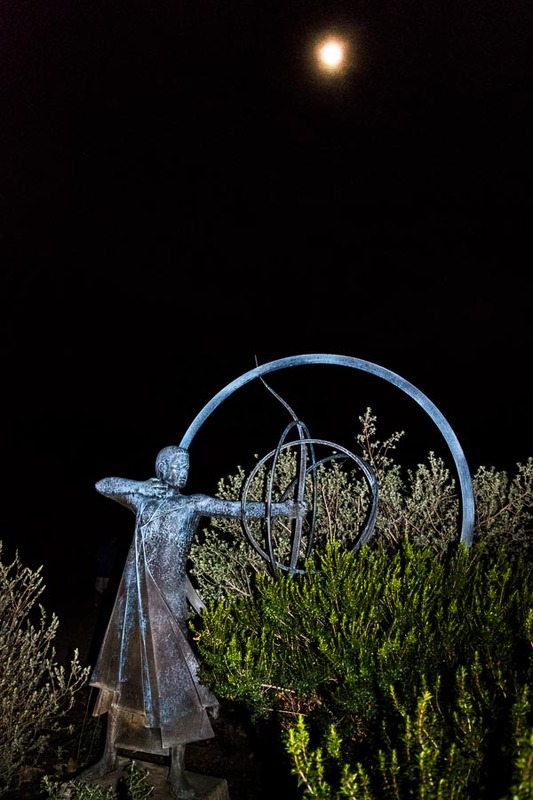 Guests walking around the grounds will notice different statues and artwork prominently displayed.